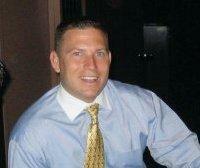 Kevin holds licenses as a Real Estate Broker, Certified Public Accountant, Mortgage Loan Originator, and Title Agent. He is the principal owner of Valencia Realty, Professional Staffing and Consulting Services (a short sale negotiation company), and Hallmark Title Agency.Additionally, Kevin has bought and sold hundreds of single family residences. The Sarasota Herald has deemed Kevin as one of the most prolific investors in the region. His experience analyzing circumstances and helping property owners come to a conclusion on what is best for their situation led the Tampa Bay Business Journal name him as one of the area’s “Up and Comers” in 2012. He has helped nearly 1500 distressed homeowners in the Tampa Bay area since 2007. As a real Estate broker, Kevin was the top listing agent (in terms of # of listings) at the end of 2013 for Hillsborough, Pasco, and Pinellas counties. Kevin generally carries between 100- 200 residential listings at any given time. Kevin has owned (solely and through partnerships) a portfolio of up to 70 single family rental homes at a time. Updated: 22nd April, 2019 4:53 AM.